Bring some functionality and a contemporary flair to your living room with this cross legged chairside table. Available in either a soft gray or white finish with a solid metal handle and accented corners, this smooth piece fits in anywhere while complementing its surroundings. In addition to its cool, modern style, this table's top provides space for displaying smaller items or resting drinks. The drawer below is great for storing other living room essentials, such as remote controls and phone chargers. 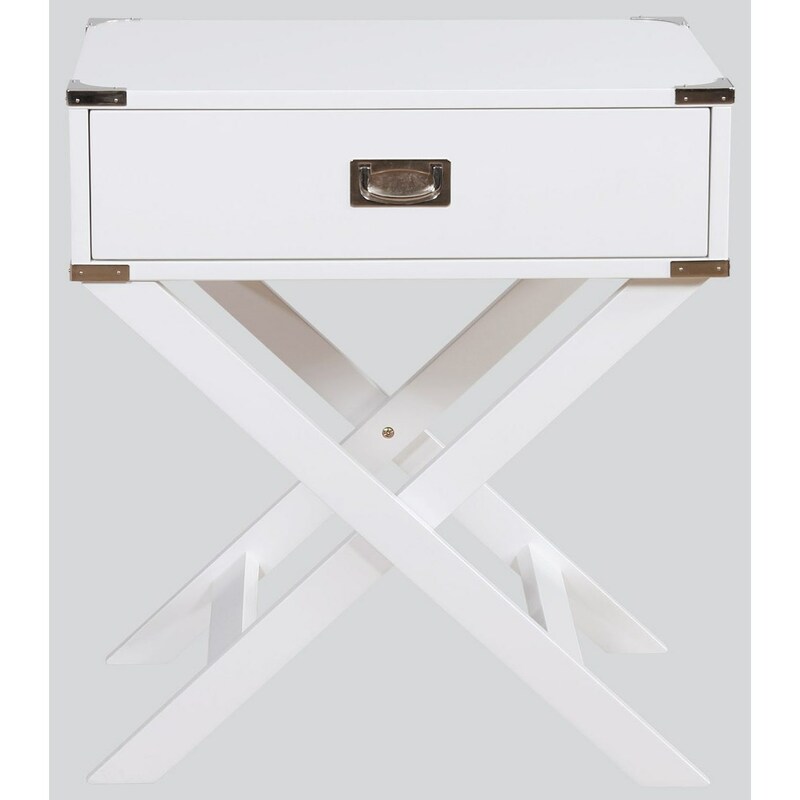 The Hudson Contemporary Chairside Table with Drawer by Crown Mark at Del Sol Furniture in the Phoenix, Glendale, Tempe, Scottsdale, Avondale, Peoria, Goodyear, Litchfield, Arizona area. Product availability may vary. Contact us for the most current availability on this product.